While FIBA confirmed that they asked a spot in Euroleague for the winner of the Champions League, not only Euroleague is not willing to negotiate something like that, but it’s ready to welcome back to Eurocup the Italian clubs. As the “Corriere Dello Sport” reports in its print edition today, the Italian basketball federation is ready to let Italian clubs compete from next season to Eurocup, provided that the participation of those clubs is decided according to their results in Legabasket and under the condition that their players will be available at any time to the national team. 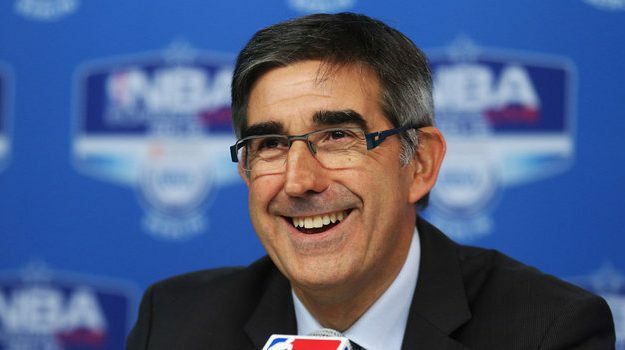 According to Eurohoops sources, Euroleague is willing to have a calendar from next season which will include the national team windows during the season – after all Euroleague CEO Jordi Bertomeu recently expressed the opinion that Euroleague will not prevent its players from competing for the national teams – even if this is not a final decision and depends on the whishes of the clubs. However, Bertomeu has thrown the gaunlet at FIBA today, stating in an interview to the print edition of an other Italian newspaper, “Tuttosport”, that giving a Euroleague spot to the winner of Champions League is out of the question. “It’s impossible and it doesn’t make any sense. In which tournament when you win you jump up two categories?”, was the reaction of Bertomeu. It’s obvious that the talks between the two sides – which were more than ongoing just before the start of the season – once again hit a roadblock and until there’s a verdict on the EU complaint on the matter, neither side is going to chance its stance.